Shawn naturally fell into the fitness industry coming from a background where he was always active and engaged in sport from a young age. Having played a range of sports at school, Shawn later specialised in sprinting 100m and 200m and then went on to participate at competitive weightlifting. When it comes to working as a fitness professional, Shawn loves being able to help people push themselves physically and switch off from their stresses of day to day life. Setting people challenges and pushing them that little bit harder than they might have done on their own provides him with great satisfaction. He loves to see people leave having had a great session and also strives to keep people working consistently, and looking at fitness as pleasurable and not a chore! 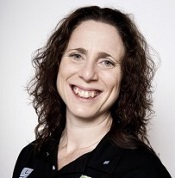 Kate is an enthusiastic personal trainer, and qualified biomechanics coach, who specialises in posture and back care. She has worked in the industry since 2009, and her other specialisms include weight/fat loss, group exercise and working with specialist populations. On top of that, Kate loves working with groups of pregnant ladies as she is also pre and post-natal qualified! Exercise is a real passion of hers, and she can often be found riding her bike, going to fitness weekends, walking in the lake district – and she’s recently started participating in cycling sportives. When it comes to advice, she claims “give it a try – what’s the worst that could happen?” is her greatest piece. 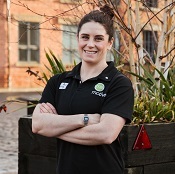 Emily is motive8’s in-house nutritionist, and doesn’t stop at just being a great personal trainer. Her effective programming and nutritional advice is highly popular and aimed at helping clients achieve a variety of fitness goals. Not only is Emily passionate about nutrition though, as she also loves strength training and Yoga. She takes a holistic approach to exercise, nutrition and health as a whole, which no doubt makes for a recipe for success across the board.